Caleb Roark picked up the 12th last-place finish of his NASCAR Camping World Truck Series career in Saturday’s UNOH 175 at the New Hampshire Motor Speedway when his #10 Driven2Honor.org Chevrolet was involved in a bizarre single-truck crash on the opening lap of the 175-circuit race. The finish, which came in Roark’s 30th series start, was his fifth of the season and third in a row, making him the first driver in Truck Series history to score three consecutive last-place finishes. 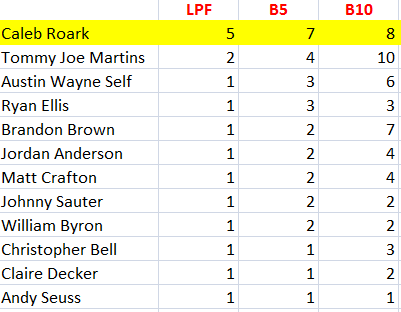 With six races to go, Roark holds a three-finish lead over Tommy Joe Martins in the 2016 LASTCAR standings, moving Roark one step closer to his second-consecutive last-place title. Roark was one of the 32 drivers on Loudon’s preliminary entry list. Four of those entries - owner Bobby Dotter’s #07, Red Horse Racing’s #11, Contreras Motorsports’ #71, and Mike Harmon Racing’s #74 - did not have listed drivers at the time the entries were submitted. 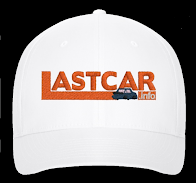 By Wednesday, September 21, the rides were filled with Matt Mills, Michigan winner Brett Moffitt, NASCAR Euro Series breakout Alon Day (making his series debut), and Tim Viens, respectively. Roark, meanwhile, did not participate in Friday’s opening practice and ran 30th of 31 in Happy Hour, besting Akinori Ogata, who failed to complete a lap in the MB Motorsports-prepared #63 ENEOS Chevrolet. Just as at Mosport, Roark struggled with speed, turning in a lap of just 115.059mph - more than four seconds off the pole - but this time ended up 30th on the grid. This time, Roark bested two trucks which did not complete a lap: Ogata and the #50 CorvetteParts.net Chevrolet of 2003 series champion Travis Kvapil. Kvapil cited mechanical issues as the reason the #50 stayed off the track. Ogata started last, but he wouldn’t finish there. On the second lap of the race, as the leaders entered Turns 1 and 2, the caution flew for an incident at pit entrance. 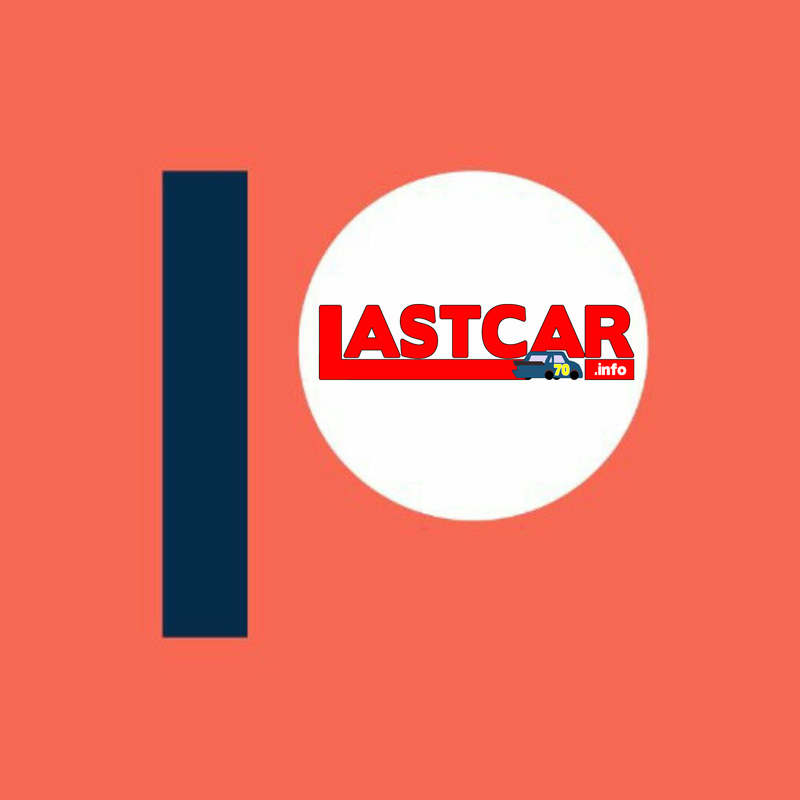 According to replays, Roark had slowed his #10 Chevrolet in Turn 4 in an apparent attempt to make it to pit road, likely to park his entry. However, the right-front wheel locked-up on entrance, steering his truck straight toward the sand-filled barrels protecting drivers from the outer pit wall. Roark turned his truck hard to the left, but could not avoid a collision. The right-rear of the truck struck at least two of the barrels, pouring sand all over the track. 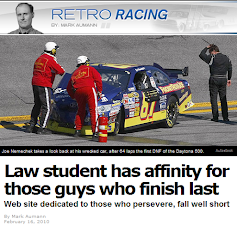 As crews swept away the sand during the ensuing nine-lap yellow, Roark pulled behind the wall, out of the race. Ogata’s day didn’t go much better. On Lap 13, while racing Josh Wise’s Premium Motorsports entry, the #49 ChampionMachinery.com Chevrolet, the two came together on the backstretch, drawing the second yellow. Ogata’s left-front damage was the worse of the two, and he ended up 100 laps down at the finish. Wise managed to lose only 23 circuits and finished 27th, just on the outside of the Bottom Five. Between Ogata and Wise were 30th place Austin Hill, who as at Pocono had a strong qualifying run in the 11th spot only to fall out early, this time with a busted oil line. 29th belonged to Dover last-placer Austin Wayne Self, whose #22 AM Technical Solutions Toyota brought out the final caution on Lap 128 with a crash in Turn 1. 28th went to Chase contender Daniel Hemric, who spun early in his #19 Blue Gate Bank Ford, then was ultimately sent to the garage with brake failure. 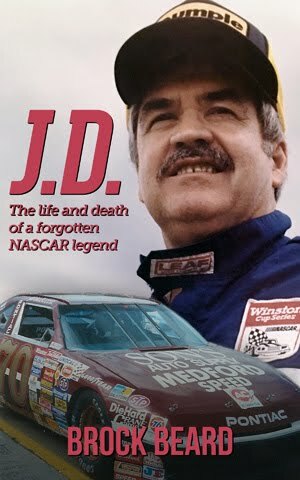 *With the finish, Jennifer Jo Cobb Racing becomes the first team to score three consecutive last-place finishes in the Truck Series since this same race in 2010, when owner Danny Gill’s #95 Dodge followed-up back-to-back runs with Tim Andrews at Chicagoland and Kentucky with J.C. Stout’s electrical issues at Loudon. *This marked the third time in four years that Loudon’s Truck Series last-place finisher failed to complete the opening lap. 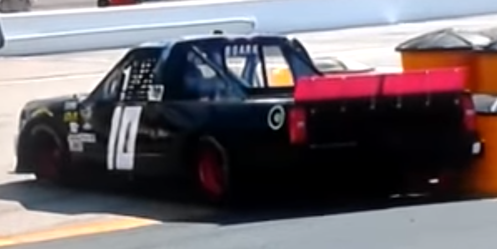 *This was Roark’s first-ever Truck Series last-place run at Loudon.